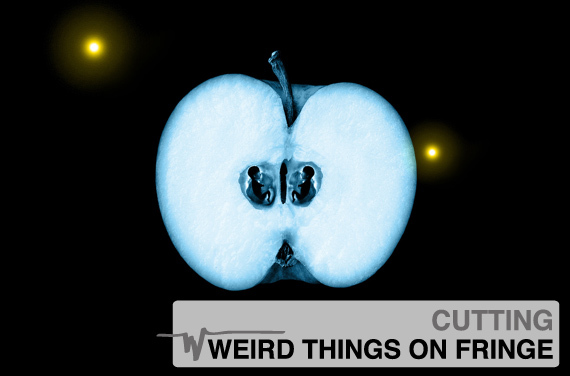 Bruce Tanis Special: Cutting Weird Things on "Fringe"
I started editing sound effects at Todd-AO back in 19………. Something-or-other! I started working on a show called “Brooklyn Bridge” produced by Gary David Goldberg. I worked in television for a few years and then moved over to working on features. With a few brief side trips back to TV, I stayed in the feature world ever since until starting in on “Fringe” in August, 2009. The feature landscape was looking pretty empty at that point so twenty-two weeks of work on an episodic TV show looked pretty good. Turns out, it was a LOT of work but, ultimately, a rewarding journey. 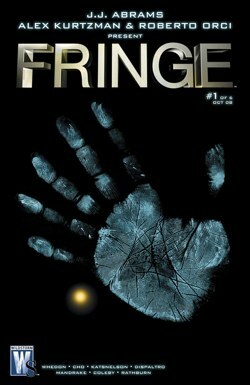 “Fringe” is a lot like “X-Files” was. It has a core mythology based on conspiracies and alternate Universes and, while we didn’t have “CancerMan” we did have a lot of monsters-of-the-week just like “X-Files” did. It was these M.o.t.W’s that made up the bulk of the design work on the show although the gadgets and atmospheric effects were challenging as well. In the episode “Night of Desirable Objects”, the team runs across a cave-dwelling Mole-Man who ends up killing anyone who wanders too close to his cave underneath his Father’s house. This episode had two key elements in terms of design: Mole-Man obviously enough, and Olivia’s bionic hearing. Early on we decided that Mole-Man would be voiced in ADR because his range of actions and emotions was simply too broad for a library monster vocal set to cover. What I ended up doing for him, though, was cutting creepy moans and breaths out of the library for when we’re in the cave with him but don’t see him directly. I also added a layer of vicious attack growls and wounded screams when, in the end, the cave roof collapses and a car crushes him. An interesting trick that was used in the ADR session was that the actor who was vocalizing Mole-Man actually put pieces of an orange in his mouth which gave him a slobbery, sputtering voice. Probably made the ADR stage a little sticky too . . . At certain points during the episode, Olivia has moments of her bionic hearing ability. The first time we see this, Olivia is sitting in the Sheriff’s office and she begins to hear things that aren’t quite in the room with her. I played phones, typewriters, and file cabinets and treated them to make them sound a little beefier than normal and kept them a bit more up in the mix than they usually would be. We can see the whole room that she’s in so we know these things aren’t in the room with her. I also had voices from down the hall and cars from outside so we don’t really know how far away she’s hearing these things from. They could come from the next room but she could also be hearing things from down the block. Or, they may only be playing inside her own head. The scene had to play both ways which is why I included things that we never saw. It left an ambiguity in the scene that wouldn’t have been there if I had simply used sounds that we see in the room with her. A later scene revisits Olivia’s “talent”. This time, she’s relaxing in a bubble bath and, again, her bionic hearing kicks in without warning. This ended up being another obscure mix of things she might actually hear, although, played in a surreal manner, and things that were never seen on camera. The bubbles in her bath become huge and reverberant and a fly walking up a wall is magnified many times over. Adding to the odd feel of the scene I put in a person walking across a creaky floor overhead although we couldn’t tell if it was from the next floor up or several floors away. Again, we don’t know the boundaries of Olivia’s hearing so the events could come from her paranoia, anywhere in the building, or somewhere far away. In the “Fringe” world, there are often devices and gadgets that create or affect various events. In “Fracture”, the villain has created a serum which several characters inject because of a type of post-hypnotic suggestion. He has invented a frequency generator which causes these people to crystallize and then explode. In one of the best scenes all season, Walter and Astrid are in the lab and, using a watermelon for their experiments, are able to determine the exact frequency that the villain’s generator operates on. It was something like 68.7 megacycles ( I don’t recall exactly), so I used the signal generator plugin and created some tones that started out as 68.7 megacycles. They were simply low-frequency tones on their own so I processed them so that they warbled and chorused and were a bit more mysterious than the straight tone. It ended up being pretty subtle for television, but when Walter identifies the tone as a certain frequency, that’s what’s actually playing. One of the key characters in the “Fringe” world is William Bell, Walter’s former partner and founder of Massive Dynamics, a private research institute that figures prominently in several episodes. In “Momentum Deferred”, Olivia is brought to the Alternate Universe by Dr. Bell in order to give her information that she will need in the future. The direction I received for this sequence was that as his name is Bell, bells should be a recurring motif in the scene. I couldn’t simply put bells in everywhere though so I took some dry ice recordings and pitched them down considerably and reverbed them to become ringing tones that I played underneath the whole scene. There were also some reversed ship’s bells and crystal glass rubs so that Dr. Bell’s office was made up of multiple layers of glass and bell sounds. It became a little ominous but stayed away from being too cliche’. “Earthling” was a really good episode for strange sounds. It starts out with the appearance of a smoke monster that kills its victims by enveloping them and leaving behind an exact life-like looking corpse only the body is made of ash which crumbles horribly when touched. The smoke creature moved rapidly as opposed to gently drifting so I had some movement to play off of in creating a sound for him. I came up with some stuttering, fluttery whooshes that kind of vibrated which made him more dangerous than if he sounded like a puff of steam moving along the hall. The smoke monster requires a host body to live in when he’s not vibrating around killing people. The only way to recall the smoke monster to the host body, or to keep him there in the first place, is by severe electrical shock. The bad guy has collected a whole bunch of car batteries in his hotel room and they buzz and zap and really get going when he throws the switch to zap the host and hold the smoke monster inside him. It ended up sounding a little like a 1920’s electric chair but had lots of screams and growls as the smoke monster got to vocalize a little bit as he was zapped into submission. This episode had lots of little electrical things scattered around and I tried to make it sound a little like the Exploratorium in San Francisco, California, with all of its electricity-based exhibits. 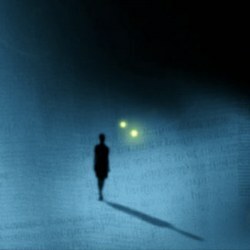 Time travel is always a good topic for a science fiction program and “Fringe” is no exception. In “White Tulip”, Peter Weller from “Robocop” and “Buckaroo Banzai” is an inventor who develops a time travel system by wiring his body so that he can go back in time and save his wife from her death in a car accident. He ends up looking like some sort of battery coil with all the wires crisscrossing his chest and arms. I used vocals from the dialog to create high-pitched jittery tones that played against the visual of his time-jumping. He would start to flicker faster and faster as he ramped up to the moment of leaping so I wanted to play up the fragmented sense of time we had visually and create the idea that he was somehow jumping over other people to land at a different point in time. It also had electrical humming and zapping to support the electrical nature of the device. Computers are a large part of the “Fringe” world and in many episodes they would be whirring and buzzing away. One of my favorite effects just because of the goofy nature of the request is one computer which is processing information in the lab and, as it assembles more and more data, was supposed to sound busier and busier! Actually, computers don’t speed up and get excited the way people do but that’s what the clients wanted so I came up with a computer that increasingly gets more frantic as it “learns” more and more about the data that has been fed into it. It ended up being a challenging and rewarding season cutting all kinds of creatures, machines, and ambiences that helped make the Universe of “Fringe” come to life. Or I should say, both of them . . . . Written by Bruce Tanis for Designing Sound. Another great read. The bionic hearing thing must have been a difficult one to approach. Cool article! Im just curious about how to the electrical sounds where made? hi Matt. I’m sorry not to have answered you sooner but I only just saw your comment. The electrical sounds all started with actual machines and generators starting & stopping. Then I’d process them by pitching them up or down, adding low end, etc. One time I ended up using a “rain on pavement” track and worked on it until it sounded interesting and that became a “data flow” computer tone.